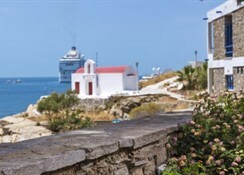 The Mykonos Theoxenia is in a great spot, right on the seafront in Mykonos Town. 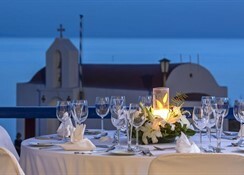 As such, it offers sweeping views of the Mediterranean, and easy access to the boutiques, bars and restaurants. 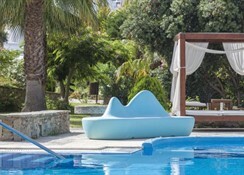 The hotel’s outdoor scene has a stylish beach club feel, thanks to the large swimming pool and surrounding daybeds, which are draped in white muslin canopies. Gardens cocoon the area, so it’s nice and private. And when you fancy some time on the sand, it’s just a few steps down from the property. The hotel’s interiors are contemporary through and through. The reception, for instance, features suspended bubble chairs and vivid art prints, while the bedrooms clash powder blue walls with coral lamp shades. 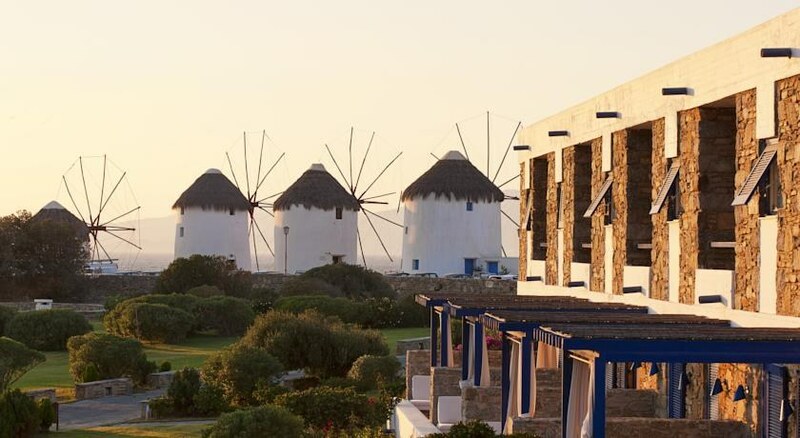 Mykonos Theoxenia, member of 'design hotels', is a 5 star complex (7 separate buildings) - an oasis of serenity and luxury - situated in Mykonos town, ideally located next to the wind mills. 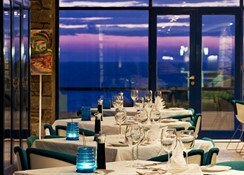 It is consisted of modern and of high innovative style rooms designed to offer guests comfort and numerous services. The swimming pool which is situated in the middle of the landscaped gardens amongst pine and palm trees, the gorgeous restaurant, the bars, the massage and spa treatments, the beauty services and the other hotel amenities create a dream environment for the guests ensuring them an unforgettable stay which starts right from the first moment they visit Theoxenia; all guests receive a welcome drink, fresh fruits and many others. 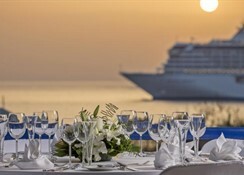 It is an ideal destination for those looking for a relaxing,sophisticated but most joyful holiday.The Hotel is regarded to be one of its kind since it is ranged among the best destinations on Mykonos Island.The hotel is right next to the sea and only 5 minutes distance from the Airport.